When you have a bub who’s not yet toilet trained you can choose to use disposable or cloth nappies, but did you know you can also have (GASP!) no nappy?! Yep, it’s an actual thing and it’s called Elimination Communication. The Elimination Communication (EC) method is when parents or carers train themselves to recognise cues that their baby needs to wee or poo, so they can then take them to the toilet to do their business instead of wearing a nappy. Also called Natural Infant Hygiene and inspired by more primitive cultures around the world, it sounds incredibly tricky (and messy!) but believe it or not it’s actually now becoming popular again with many western mums and dads – wild! Apparently babies (just like adults) really don’t want to poo and wee in their pants but become used to it when nappies are placed on them. They are actually capable of giving us signs that they need the toilet (just like when they’re hungry or tired) but if ignored they lose this ability after six months (until toddler toilet training time). Parents look for patterns and watch for cues, taking their baby to the bathroom when they think they need it. When very little they will need to be held over the toilet or sink to do their stuff and a verbal encouragement is also required such as saying “poo poo” or making a wee sound. Eventually babies start to communicate more effectively when they need to go by touching their privates or making particular sounds – amazing! You can start the practice from birth or anytime, but it’s generally more effective the earlier you start as the baby has longer to get in tune with their body movements and signals. You don’t have to go the whole hog either, you can do EC partially or fully – e.g. nappies only for nighttime. One huge benefit of this method of disposing of your child’s waste is of course not having to buy (or lug around) disposable nappies, which saves a lot of money and more importantly helps reduce landfill. Sure, cloth nappies are better for the environment than disposable but EC users also save a ton of water and time not spent on hand washing. There is however another reason why many parents are now turning to EC and that’s the close bond that it creates. 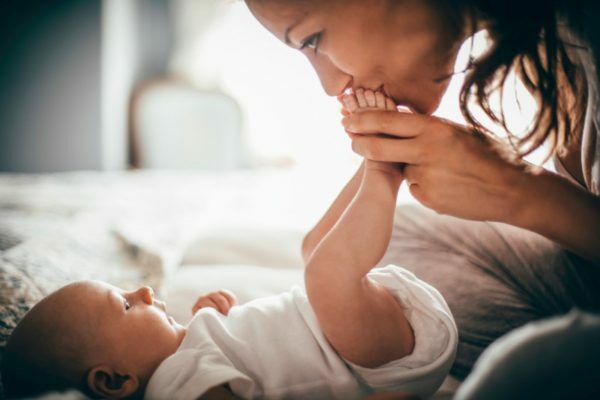 By following your baby’s instincts and becoming more in tune with their needs, many believe it strengthens your relationship by allowing more communication and understanding, which can also make parenting a newborn a bit easier too. Poo and wee – in their clothes, on the floor and more – simple as that. There will be accidents ahoy in the early stages when you and your baby are learning the ropes, but even later on you could still miss these cues especially when you’re really tired or distracted. So if you’re not down with cleaning up urine puddles and a whole lot of poo, then maybe this isn’t for you. Remember though, you will need to face it during the potty or toilet training phase – which can often be really messy too. Family members may struggle to understand and support this method too, particularly if you’re out in public and there’s an accident, or you’re caught dangling your bub over their sink as they’re doing a number two. Don’t begin too late – The best age is between 0 and 4 months, giving the baby time to get the hang of it. Summer is the ideal time to start as they can be bare bottomed a lot of the time, making it all a bit easier. Start with a wake up call – We all need the toilet when we wake up from a sleep, which is why taking bub first thing when they wake up is the best way to start introducing your bub to EC. Take them after feeds – Next up? Of course what goes in must come out, so after a feed take your bub to the toilet to check they if they need to do a poo or wee. Night-time signs – If bub is wriggling or squirming in their sleep then it is usually a sign that need to go. Praise them – Just like you would with toddler toilet training or a puppy, praise your baby when they wee or poo on your request in the right place. Don’t ignore signs – Once you’re aware of the toilet cues trust your instincts and don’t ignore them, which can be tempting to do if you’re in the middle of something else or it’s not convenient. Be prepared for accidents – Put down towels, buy lots of wipes and don’t stress about the mess if you miss their cues. Don’t give up – Persistence is the key so don’t think you’re failing if you keep having accidents or are misreading cues, the hard work will pay off eventually. There are also a bunch of websites out there offering tips and support for EC parents such as nappyfree.com.au and tribalbaby.org. Are you brave enough to try Elimination Communication with your baby?